What is the fullest definition of a friend? The Bible offers us numerous definitions and examples. 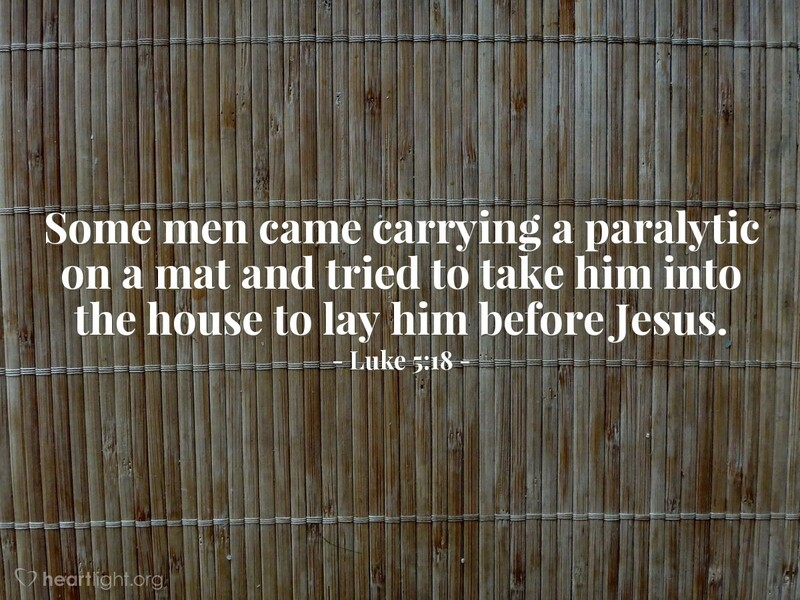 One of my favorite examples is this story of the paralyzed man whose friends went to great extremes to get him to Jesus. Their faith and their effort to get him to Jesus are the things that ultimately result in the man's forgiveness and healing. I don't know about you, but that's the kind of friend I want to be! Holy Father, please bless me as I try to lead ___ (put the name of several non-Christian friends here) to forgiveness and healing in Jesus. Give me the tenacity and tact to do this with gentleness and respect without losing my sense of urgency to see them become Christians. In Jesus' name I pray. Amen.